Save the Date – ‘Aventurera,’ a free film screening event at Midtown Campus Quad, Aug. 17. Spanish Language Night: an outdoor screening. Festivities begin at 6 p.m. and screening begins at 8 p.m., Friday Aug. 17.The film will be presented in Spanish with English subtitles. All of this takes place outdoors at the Midtown Campus bandstand. Accessible from 1600 St. Michael’s Drive or Alumni Drive, opposite Yucca Street and Siringo Road. Food trucks and entertainment – including tango demonstration; and presentations, activities and giveaways from SFCC – start at 6 p.m.! 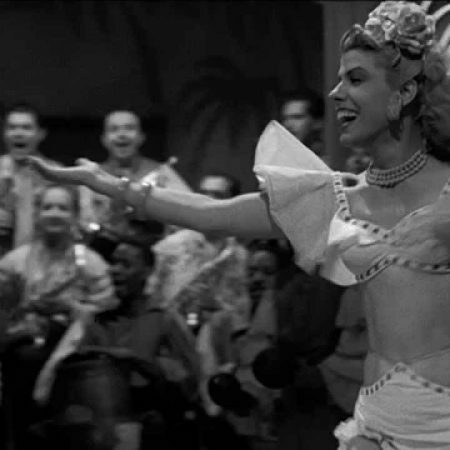 About “Aventurera”: Upon its rediscovery in 1996, this 1950 cabaretera—an noir-ish musical—was immediately recognized as a masterpiece of Mexican cinema. Conceived as popular entertainment, the film has become known for its celebration of a powerful Mexican woman, played by legendary Ninon Sevilla, who, finding herself trapped into a criminal life, fights her way back to safety. With its perfectly staged, inventive musical numbers, tense drama and rich social satire, it remains moving nearly 70 years after its completion. ‹ Check your Course Reserves at the Library!